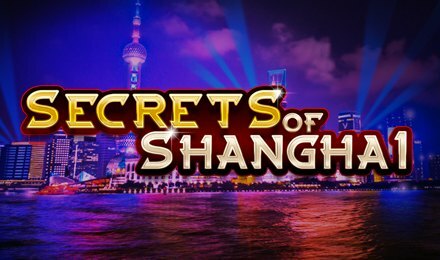 The newest creation of Section 8, Secrets of Shanghai slot, is available for play at Vegas Spins. Themed on China’s wonderful city, this slot game consists of 5 reels and 25 paylines. You can discover the beauty of this city through the well-designed background of this online slot game. This Chinese themed slot game is made of many wilds and scatters, and even consists of the free spins round. So, just launch this game on either a tablet, a laptop or a mobile phone, and you might get some lavish wins. The gameplay of Secrets of Shanghai slots is entertaining and fun, and very simple to understand. On the display, you will see the auto-play option. By clicking on this option, you can choose few game rounds to be played, handsfree! Bet Levels: There are no bet levels on this online slot. Coin Values: Adjust the stake as per your preference by clicking on the minus or plus signs. The Secrets of Shanghai Logo acts as wild symbol on this slot game. The wild symbol can replace any other symbols, apart from the scatter, to complete winning combos. You can win the highest of 720x your stake when wilds are aligned on the reels! The scatter symbol takes the form of the Lamp which can launch the bonus round. The Free Spins Round is triggered when 3, 4 or 5 scattered lamp symbols are seen anywhere on the reels. You are offered 8 free spins; you can win additional free spins when additional scattered symbols appear on the reels during this round. Play this game anytime on either a mobile phone, a tablet or a laptop, and discover the beauty of Shanghai!